The Day of German Unity takes place as Germany struggles with internal problems in the wake of parliamentary elections. What's more, the country must also position itself internationally, writes DW's Ines Pohl. Every year on October 3, Germany celebrates the anniversary of reunification in 1990. Despite unsolved difficulties, disappointments, and unfinished projects, the public holiday is supposed to commemorate a joyous occasion. It is a day on which the world marvels at a country once responsible for atrocities and, after that, for tearing down a wall of division to emerge united as a dependable democracy and prospering economic power — and became one of the pillars of the Western world. Read more: German reunification: Are youth in love or indifferent? East German authorities began patrolling the inner-German border in 1952. Until then it had been relatively easy to pass between the two. They sealed off West Berlin in 1961. Here, soldiers keep people from crossing as the Berlin Wall is built. In 1961, communist East Germany was having trouble keeping its young, educated population from emigrating to the West. The Berlin Wall was erected almost to completion in a single night, without warning, on August 13. This famous photo from September 1961 shows a woman trying to escape East Berlin through an apartment block where one side of the building faced the West. Some men try to pull her back inside while others wait underneath, hoping to aid in her escape. Amidst mounting internal and international pressure, a mistaken announcement by an East German official on November 9, 1989 led to the wall being opened. Germans on both sides of the border celebrated for days. New openings were made in the wall, like here at Potsdamer Platz two days later. Today, some parts of the Berlin Wall still stand as a memorial to hard-won freedoms. The famous East Side Gallery allows different artists from around the world to add murals to the part of the wall that remains on Mühlenstrasse in Friedrichshain-Kreuzberg. Politicians for the state government of Berlin lay flowers along the site of the Berlin Wall on Bernauer Strasse, 56 years to the day after it was constructed. At least 140 people were shot dead by East German border guards at the wall from 1961 to 1989. But then the parliamentary election of 2017 came along and the right-wing populist Alternative for Germany (AfD) won almost 13 percent of the vote, putting it in third place. Since then, "We are the people," the slogan used by protesting East German citizens, has taken on a new meaning. "We are the people," they chanted in Dresden and other East German cities in 1989 and used it to bring down the unjust system that was East Germany, the GDR. "We are the people" meant: We want democracy, we want to shape the politics of the country we live in. We no longer want to be patronized or subjected to political repression. Now that the AfD has become the first far-right, populist party to be elected to German parliament for generations, "We are the people" sounds different, as it no longer denotes the demand for democratic participation. "We are the people" is often used to insinuate that others are not; that they do not belong in this country. This message of social exclusion is directed at the refugees who have come to Germany seeking protection and a future. It is a backward-looking reaction to a world that is seemingly going off the rails, where nothing is as it once was — and never will be the same. Millions of people have upped sticks as they are no longer able or willing to live in their home countries. War, epidemics, drought or floods have driven them away. Millions more will follow. They will not be easily stopped; they will demand and fight for their right to a better life. These people will not necessarily come to Europe, but migration movements and their consequences will have a noticeable impact throughout the world. This is why today's "We are the people" — intended as a message of marginalization — is a sign of helplessness directed at politicians and the 87 percent of voters who chose not to vote for the AfD. But unlike the days of East German protest in 1989, the majority of the population does not feel included in this new definition of "the people." Simply carrying on as though not much has happened and returning to one's own quest for personal gain and happiness do not suffice as a response to the election result. The difficult coalition negotiations prove that this is a matter of deciding what kind of country we want in the future. The "BT11" in Kühlungsborn is a former East German border watch tower. From 1973 to 1989, Costal Brigade soldiers used to be on the lookout for escapees. Those looking to flee the communist country would try to reach the coast of Schleswig-Holstein or a passing ship from here. Today, the tower is a listed monument and one of the last surviving of some 70 such lookouts along the coast. The former death strip along the East-West border has proven to be a stroke of luck for nature, even 26 years after the Iron Curtain was opened. The Green Belt between the Elbe Altmark marshes and the Wendland seems to magically attract migratory birds. Large flocks of geese, swans, ducks, and cranes stop and rest here every autumn on their way south. Ninety-five of the altogether 1,091 kilometers of the Elbe River used to be part of the exclusion area of the inner German border. Subsequently it has remained mostly untouched - like here near the village of Lenzen - making it one of the few surviving natural waterways. With its changing water levels, it forms the wetlands that make up the UNESCO-listed Middle Elbe Biosphere Reserve. The main function of the East German blockade was to prevent citizens from escaping. This makes it different from other border posts, where guards would face outwards to defend against threats from the outside. In Hötersleben you can see some original parts of the border posts, including watch towers and anti-vehicle obstacles. This northern part of the Harz region is characterized by gently rolling hills from which the Grosse Fallstein emerges as a special vantage point. The 70-kilometer cycling tour along the Green Belt from Hornburg to Ilsenburg is particularly attractive. It leads past orchards, fields and chestnut-lined roads, and through untouched nature and the remains of former border posts. Located on the former inner German border, the peak known as the Brocken was inaccessible to citizens of both West and East Germany during the Cold War and subsequently became a symbol of the country's division. With the fall of the Berlin Wall, the Brocken again became a center of interest and has drawn countless visitors since reunification. This symbolic memorial to mark reunification of both German states in Sorge close to Wenigerode is a circular area into which dead wood has been placed on a diameter of 70 meters. Artist Herman Prigann said that as this tree rampart slowly becomes overgrown with plants, it will encourage reflections on decay and growth. The border post is all that remains of the former inner German frontier on the Warteberg by Nordhausen. In the shadow of the Iron Curtain along the former patrol path, habitats and refuges for rare animal and plant species have developed. Endangered species like orchids, black storks and large saw-tailed bush crickets have found safe retreats. The Borderland Museum Eichsfeld has been situated at the former Duderstadt/Worbis border crossing since 1995. Until 1989 nearly six million travelers used the border crossing between the villages of Gerblingerode in the West and Teistungen in the East. The history of German division is displayed over some 1,000 square meters. This includes former border security posts and frontier barriers. During the Cold War, the Staufhain mountain and the village of the same name were located in an area that could only be accessed by border soldiers. The ruin was turned into an observation tower and listening post. The surrounding forest grew unhindered and soon it became a mountain of dreams. On December 3, 1989, the mountain was opened to visitors for the first time. Our tour of the Green Belt ends in Mödlareuth, a village of 50 people. American soldiers used to call it "Little Berlin," because, like its big brother Berlin, it became symbolic of Germany's division. Like in the German capital, the Thuringian-Bavarian Mödlareuth was divided until 1989 by a concrete wall that was 700 meters (765 yards) long and 3.4 meters thick. The Iron Curtain divided Germany and Europe for nearly four decades. Walls, barbed wire and watch towers separated families and friends. What was once separated is now united by nature. The Green Belt is the first pan-German nature preserve. The German poet and writer Johann Wolfgang von Goethe wrote this line for his protagonist in "Faust": "What you inherit from your father must first be earned before it's yours." The line seems to have been written for this year's Day of German Unity, as unity is not a given. It is something others may have fought for, but now seems normal. The AfD's success in the western German states of Bavaria and Baden-Württemberg proves once and for all that problems can't simply be attributed to differences in East or West. Now it is time to fight for a Germany that sees itself as a member of the European Union, a Germany that firmly stands by its constitution, and uses its wealth and influence responsibly to help people who are worse off. Germany celebrates the Day of Unity. In 2017, the celebration has become more of a mission than a commemoration. German reunification: Are youth in love or indifferent? Germany is commemorating Unity Day, the anniversary of itd formal reunification in 1990. But east-west political divisions remain over wealth, employment, and especially migration. 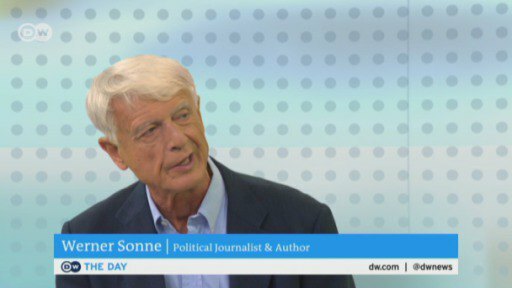 Phil Gayle asked veteran German journalist Werner Sonne whether reunification has been a success story. Why is the eastern German state of Saxony so often associated with right-wing extremism? Henrik Böhme believes that while the rampant racism is inexcusable, the Saxons are widely misunderstood.